The 260-952 Rain Gauge Wind Screen minimizes the formation of strong updrafts that can distort the trajectories of precipitation particles falling toward a gauge. The screen also generates turbulent air motions over the gauge orifice to break up streamlines and thus improve the catch. 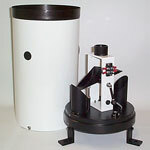 The 260-952 Rain Gauge Wind Screen minimizes the formation of strong updrafts that can distort the trajectories of precipitation particles falling toward a gauge. The screen also generates turbulent air motions over the gauge orifice to break up streamlines and thus improve the catch. 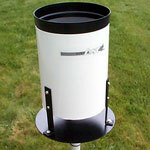 Use of a wind screen is recommended with all precipitation gauges located in windy areas. 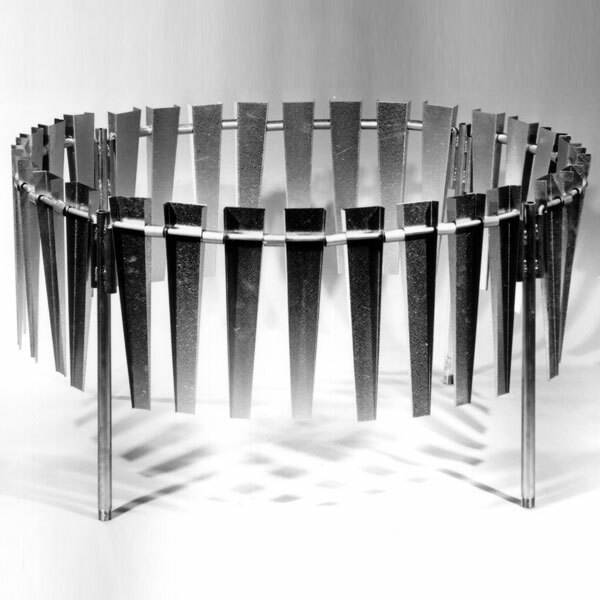 The screen consists of 32 free-swinging metal leaves, evenly spaced around a 48" diameter. 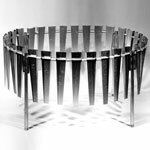 Each leaf is fabricated from 20-gauge galvanized sheet metal, 16" long, 3" wide at the top and 2" wide at the bottom. One of the quadrants swings out to permit easy access to the rain gauge. Two lengths of legs (2' and 3') are available due to variations in gauge height. A mounting kit is available for mounting to a wooden platform.